Floyd choosing Andre Berto for his retirement fight might have just paved the way for an epic Pacquiao bout next year. Before you get all dismayed by Floyd Mayweather's echoed stance on a rematch with our Pambansang Kamao Manny Pacquiao, which was recently solidified by the former opting for Andre Berto for his final curtain, read up on this first. After missing out on a redemption match against Money, Pacman might just be primed for a more interesting fight next year—and against another snubbed Mayweather hopeful at that. In a recent interview with The Telegraph, Manny's promoter, Bob Arum, stated that he will be negotiating a potential bout between his fighter and current World Boxing Council Silver Welterweight titleholder, Amir Khan. Khan was actually one of the names being floated around for Floyd's retirement fight, until the latter's recent development with Berto. He infamously called out the undefeated champ after dominating Devon Alexander late last year. "This kid Amir Khan keeps shooting his mouth off about Manny Pacquiao. I can arrange for Khan to fight Pacquiao. Amir Khan has been begging Mayweather for a fight and now he can get a major fight. I'm not a hard guy to deal with. I'm not going to mess them around." The popular boxing mogul also ripped the Mayweather-Berto bout, even describing it as a "farce." "Mayweather should have fought Khan next. It would have been an interesting fight. One thing's for sure, Pacquiao is not ducking Khan. Pacquiao will fight him. 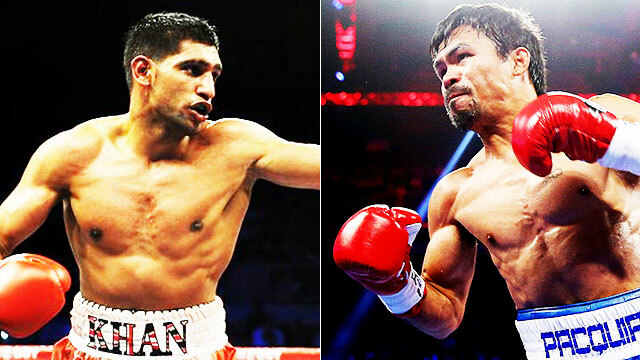 I don't know if Khan will fight Pacquiao, but it's available." Going back to the probable Pacquiao-Khan clash, Arum was still fuzzy about a few details. "Manny's not going to fight this year. He'll fight early next year and probably in the Middle East. Vegas is a possibility, but more likely in the Middle East. It won't be in Dubai but it will be in the Middle East. If not, we'll do it in Vegas." We might not be rewarded with another #MayPac melee, but one thing's for sure: things are going to get very interesting, not just because these two have a similar reputation of being speed demons inside the ring, but also because of their rather colorful history, being former sparring partners. In Celebration Of The Greatest Female Fighter To Ever Live, 'Rowdy' Ronda Rousey!